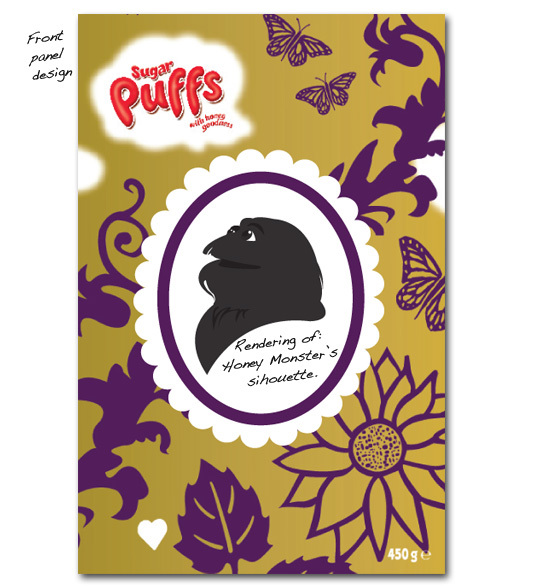 Mavo have designed packaging for renowned retailers and created bespoke packaging for Marketing and PR campaigns too. No matter the audience, whether your packaging design brief is aimed at the high-end market, the corporate gifts market or mass market we're always open to a fresh creative challenge. 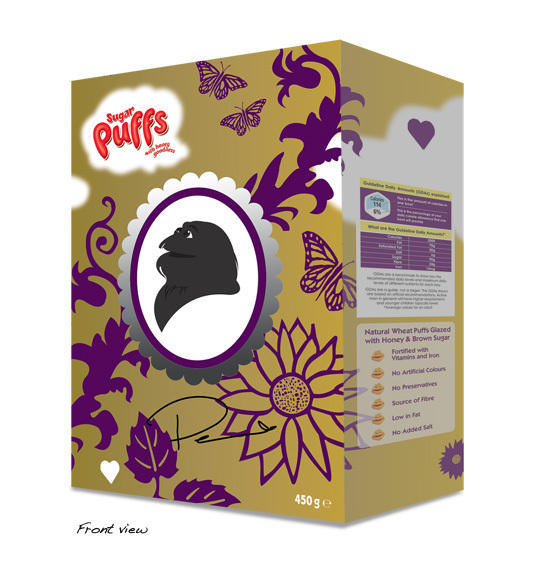 As part of a PR campaign for the Sugar Puffs brand, we were commissioned to design a limited edition packaging concept. The design based around a "boudoir", brought to life an original idea by celebrity Pearl Lowe. 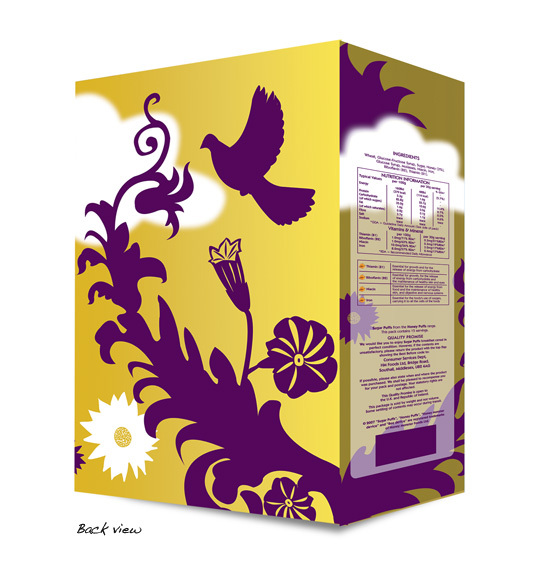 Once we had approval on colour swatches, overall design and of course a thumbs up on our version of a rather regal looking Honey Monster, we designed each panel of the box and a 3-D rendering. The boxes received a huge amount of press interest, across print and online media and now sit proudly on the Honey Monster Foods website. Visit the Mavo portfolio for more examples of our packaging design work.